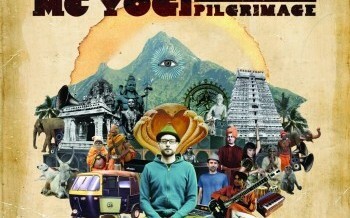 Pilgrimage CD by MC Yogi offers Yoga Music with the styles of world beat, hip-hop, Bollywood, reggae, dancehall, house and dub music. “I’m just a working class mystic,” shrugs the enviably laid back MC Yogi, grinning a little as he adjusts his trademark fedora, kicks up his Adidas and cranks the volume on “Give Love,” an instantly addictive track off his stunning dance-floor grenade of a new record, Pilgrimage. You may have heard his 2008 debut, Elephant Power, a certified phenom that still hovers near the top of the world music charts. The album’s extraordinary success earned Yogi invitations to play in clubs and yoga festivals all over the world.